From the ten Dogs of the Dow, nine are showing a positive performance in the year 2019. 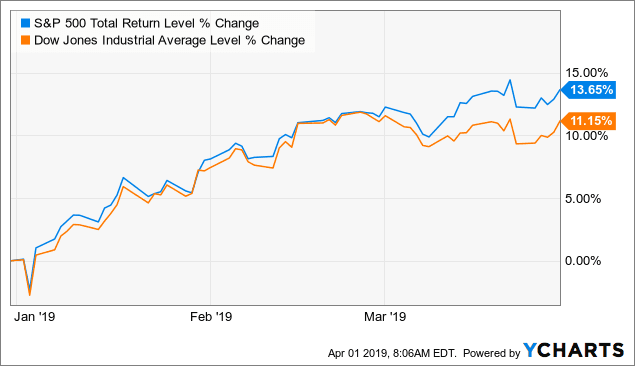 The Dow Jones Index itself started 2019 with +11.15% and the S&P 500 is also up 13.65% (both YTD). The price performance of the 10 dogs of the dow is 11.51% (YTD), so beating the dow. So let’s have a look at the performance of the Dogs of the Dow individually for the month March. The table below lists all 10 dogs of the dow 2019 companies, sorted descending by dividend yield and lists returns over last month, 3-, 6-, and 12-month periods and year-to-date. Overall a good start of the year!